Ever walked into your boudoir and felt that your master bedroom design was off? Like something wasn’t right? Like you just weren’t feeling it? I hear you. I’ve been in your exact position in years gone by and let assure you, it can be easily fixed. The biggest issue with most people’s master bedroom design is that they’ve left some important elements out of the equation. Usually you pop in the essentials (the bed, bedsides, a tallboy) and then you call it a day. Well the day is yet to be completely called, Creatives, because in today’s post I am going to give you the ideas you need to finish your room off. The great thing about these ideas is that they’re not expensive. Well, not unless you want them to be. The things that are missing from your master bedroom design can be brought in regardless of whether your budget is small or mammoth. Many of them can also work regardless of the room size. I’m not going to suggest you install a built-in robe or wood panelling or a king-size bed. These things are smaller fixes that can make a really big difference. Art is everything. It goes such a long way in making any space feel complete, and the bedroom is no different. The image above is definitely an example of this concept taken to the extreme (although I do love the Kate Moss art), but it still proves my point. Even if you opt to have some affordable canvas art above the bed, it will help immensely. My tip: Don’t put one piece of art above the bed that is shorter in width than the bedhead. Aim for one piece to extend beyond the width of the bed, or aim for two or three in a cluster across the wall. If you need to find stunning abstract art for your bedroom, this post has you covered. One blanket on the bed and four pillows does not a bed make. 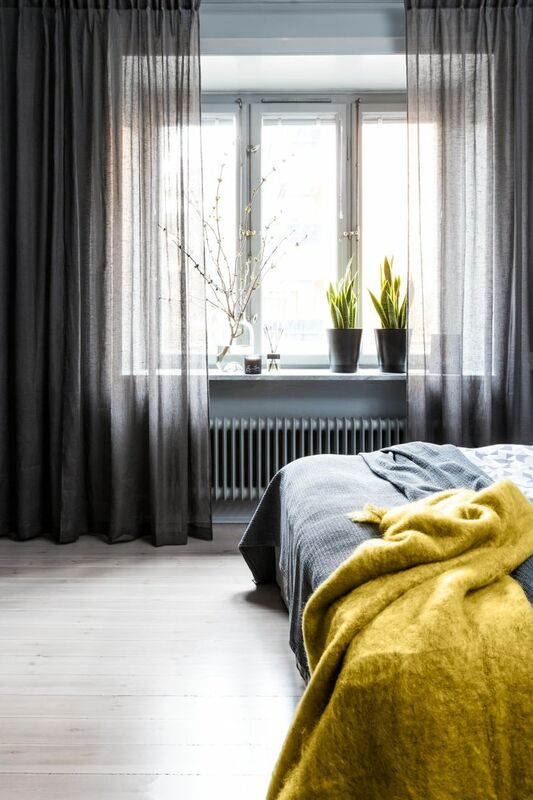 Your master bedroom design will feel grand and more appealing if there is a concoction of varying layers and textures going on. You need at least 7 pillows at the head of the bed and a fairly decent quilt rollback (where you roll the quilt back at the head of the bed to reveal the other side of it). On top of the rolled-back quilt cover you’d also need a blanket in a varying colour or texture, as well as a throw at the end of the bed. More is more when it comes to what you put atop your bed – and I won’t hear anyone say otherwise! The photo above is a divine example of this approach in action. And if you want to get across bedding trends for Autumn, click here to see some sublime colour couples at play. The bedroom is the number one place where mood lighting is essential. And it’s wise to think of light sources beyond just the lamps on your bedside. In fact, it’s all about light sources from a number of levels and area in the room. Come to think of it, I vary rarely ever turn my overhead lighting on in the bedroom, at all. That’s because I have moodier and more appealing light sources at other levels I can utilise. Consider wall sconces like the ones above (tour the phenomenal home above here, by the way) or some pretty pendants. This is probably the option that’ll incur the most cost on your part, but it’s well worth it and the look will last for years! So many of us move into our homes and leave things like carpet, paint and window treatments ’til last in a space. It’s a major no-no if you ask me, because these elements take up so much visual real estate. And anything that takes up that much space in a room is going to significantly impact the overall feel. 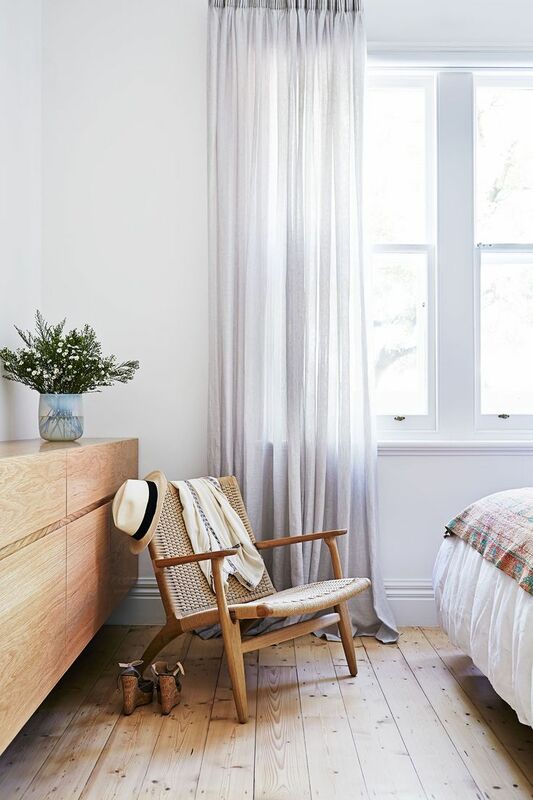 Sheer curtains are a fave of mine for a bedroom because they are so wonderfully chic and add a layer of softness. You’ll obviously have to pair them with a roller blind so people can’t see in of an evening (unless you an exhibitionist. In which case, I admire your bravery). But seriously, consider other options for your windows. You won’t be sorry. Image credit here. I know the lure of bedroom packages. It seems so easy and at least you know that everything will match. The downside to that is that, well, everything matches! The room ends up feeling a bit soulless because there’s no depth or character to the space. The easiest way to remedy this is to go to a vintage shop. Yes, it truly is the key in injecting some instant eclecticism to your room. And if second hand finds give you the heeby-jeebies, fear not. You could pick up something small like a lamp or a vase. But your best bet really would be something on a larger scale, like a rug or a sideboard. If you’re in Aus and looking for a website that specialises in vintage finds, this one has you covered. Image credit for above photo here. This one happens all too often, and I’ve been there myself. You go to store ‘A’ to buy your bedroom suite, go to store ‘B’ to get all of your bedding, and head to store ‘C’ for your lamps and art. Voila; a brand new room that just looks like the suite did on the floor of the showroom. A really good master bedroom design features personalisation. The image above is packed with it. Family photos, art picked up on travel to other destinations, a stack of your favourite books and a box of your mementoes. If you look at your space and feel like you have no idea who exists in it, maybe it’s time you personalised! Even the smallest of master bedroom designs can still feature a little greenery. Any room featuring flowers or plants brings instant life to a space and makes it feel more welcoming. If you have a windowsil, you need to fill it with some plants. Or at the very least pop some flowers on your bedside. You don’t even need to be good with plants. I am a major black thumb and even I rock plants at home. If you’re keen to discover a few plant varieties for your home’s interior that are near-impossible to kill, click here. Image credit for above photo here. You know how obsessed I am with candles (39 scented varieties at home and counting). So it will come as no surprise that I recommend you pop a scented candle on your bedside (or a diffuser at the very least) and discover how amazing it can be to have scent in this pocket of your home. For the bedroom, you want a soothing scent that’s not too overpowering. Your master bedroom design is all about tapping into different senses (not just sight), so don’t forget about your nostrils. If you need to know an awesome candle brand, I love this one. Image credit for above photo here. 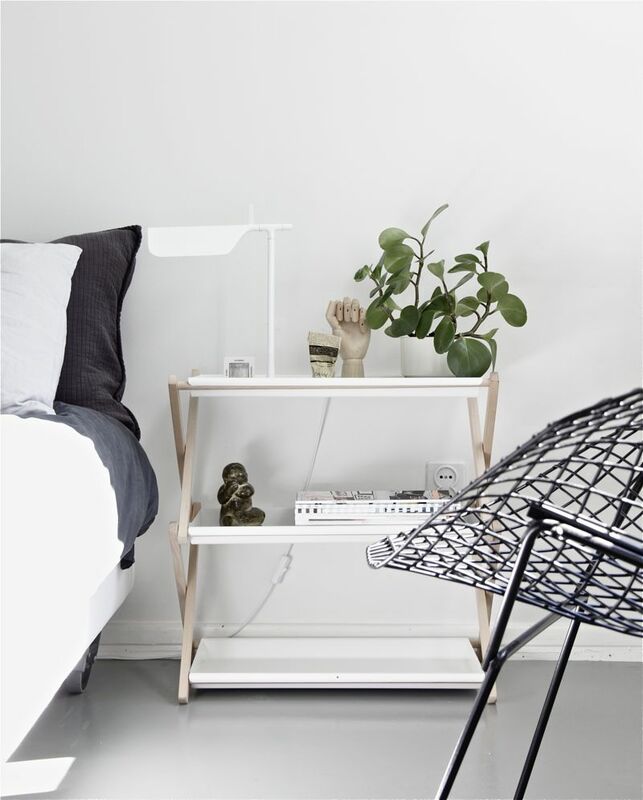 Your bedside table is a prime opportunity to let all of your styling dreams come true. My biggest tip: Don’t let it be boring. 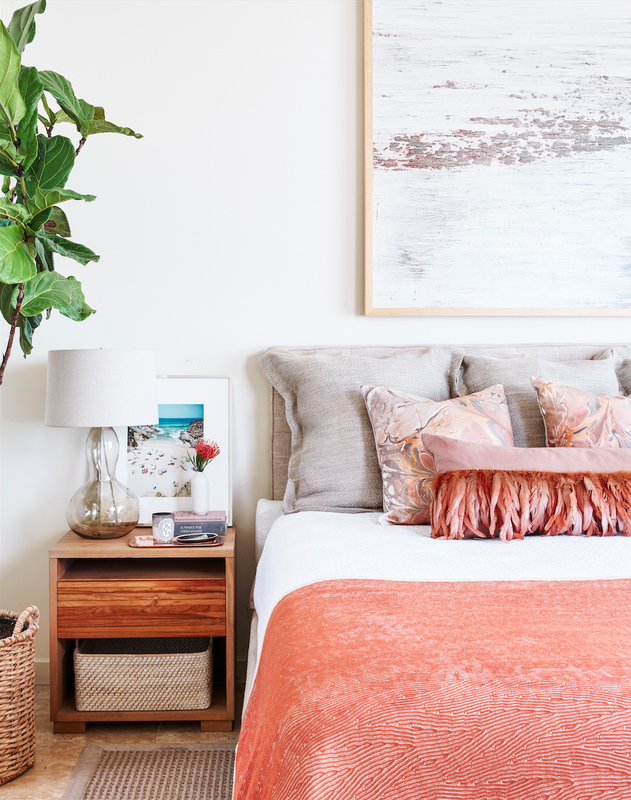 Bedside tables are your time to shine, so go beyond just a lamp and a clock and make this piece of furniture the star of your master bedroom design. Small bedrooms will benefit from round side tables, while larger spaces can handle more dominant pieces. 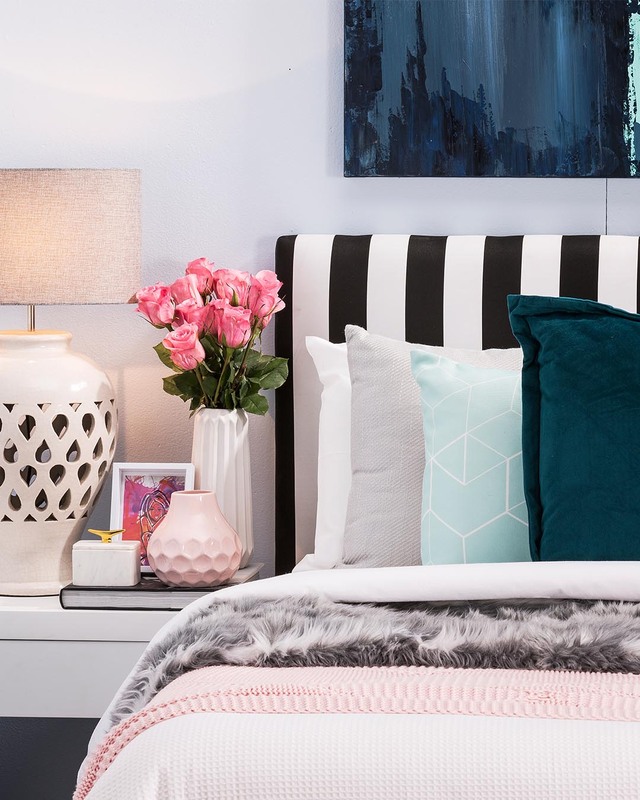 This post contains some of the best bedside tables on the market if you need some inspiration, while this post will give you styling ideas for both masculine bedside tables and feminine varieties. Image credit for above here. What’s letting your master bedroom design down right now? I’d love to hear your plans for it in the comments section below. Perhaps there’s a tip I haven’t shared that worked wonders for you in decorating and designing your own room? Why not drop a comment below and let me know how you got on. Hero image credit here, Pinterest slide image credit here. Love your thinking and creative writing I’m also building my house and will definitely use these tips when the time comes to design my bedroom. Good timing, have just painted our room white and now on the hunt for some wall art for above the bed. I am struggling though with how big/how many pieces to get as we have a really high ceiling. I want to keep the art fairly neutral as I prefer to inject colour with the bedding instead. Advice please? Hey Fiona. In this case, it’s less about how many pieces, and more about the configuration. 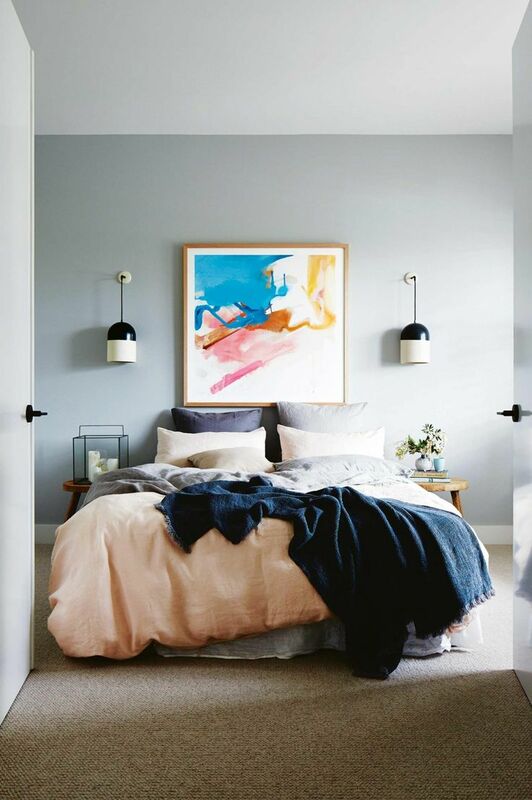 I’d ensure the art stretches the full length of the bedhead (like in this pic: http://www.tidbitsandtwine.com/wp-content/uploads/2014/01/TIDBITS-TWINE-Art-as-headboard.jpg). If you feel the ceiling is too high and it’s bothering you, consider a painted trim all the way round the room at the top, like this: https://au.pinterest.com/pin/172403491963274537/ – it’ll make the roof seem lower and the room feel cosier. Love your blogs! We have a huge bedroom that has been drab drab drab for years. (Our guest room is stunning but we never get to sleep there!) I think I’ll start with the pendants and then the art work – need to get rid of our 15 year old bedroom suite – now to just convince the hubby! Thanks for all your ideas you are amazing! Great post! I dread going to my room. it’s uninviting, ugly and messy! this helps a lot!